When an ancient artefact is stolen from National Museum, Delhi, a reckless and stubborn Police officer, ACP Aryan, is placed at the helm of the case. The people on the hunt for the artefact are seemingly ordinary criminals - an antique robber, an Irish national, and a sand mafia. But as Aryan uncovers each layer of the truth, he discovers that his adversaries are the descendants of mythical Asuras. 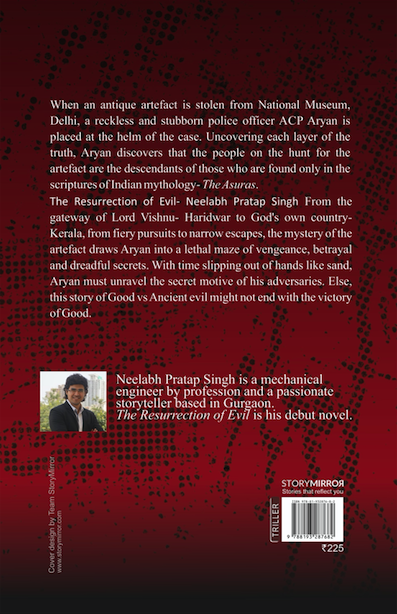 From the gateway to Lord Vishnu - Haridwar - to God's own country - Kerala - from fiery pursuits to narrow escapes, the mystery of the artefact draws Aryan into a lethal maze of vengeance, betrayal, and dreadful secrets. With time slipping out of the hands like sand, Aryan must unravel the mystery of the artefact, for this case is not just a game of Good vs Evil; it is a deadly game of Good vs Ancient Evil. 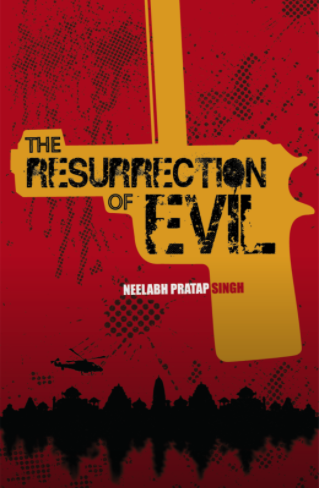 The Resurrection of Evil is an irresistible page-turner; a modern day mythological thriller with exhilarating twists and turns and fascinating stories from Indian, Irish, and Mayan mythology. Neelabh Pratap Singh is a mechanical engineer by profession. He hails from the holy city of Varanasi. He has spent his school life in the steel city of Bhilai and pursued engineering from National Institute of Technology, Kurukshetra. He has been associated with premium bike manufacturers like Honda and Triumph. He is an ingenious sketcher, an enthusiastic dancer and a passionate storyteller. Being a technocrat by the day, he has to resort to the nights to follow his passion for storytelling. He is a great lover of action thrillers and is highly impressed by Indian mythology. Hence, his debut novel “The Resurrection of Evil” is an amalgamation of both. He also runs a short stories blog named “The Tale Shelf”. He currently lives in Gurgaon.